(Português) Concurso para professor do DEMa-UFSCar na área de materiais cerâmicos. (Português) Seleção para mestrado e doutorado no PGrCEM da EESC da USP. (Português) Seleção para mestrado e doutorado no PPG-ECM – UNIFESP. Highlighted scientist: interview with Fernando Galembeck, who will deliver the memorial lecture at the XVII B-MRS Meeting (updated reprint of the interview of May 2015). Fernando Galembeck’s interest in research began in adolescence, when he realized the economic value of scientific knowledge while working in his father’s company in the pharmaceutical segment. Today, at age 75, Fernando Galembeck can look back at his own scientific trajectory and tell many stories about the generation and application of knowledge. A founding member of B-MRS, Galembeck was chosen this year to deliver the Memorial Lecture “Joaquim da Costa Ribeiro” – a distinction awarded annually by B-MRS to the trajectory of a distinguished researcher in the Materials area. The honor is also a tribute to Joaquim da Costa Ribeiro, pioneer of experimental research in Materials in Brazil. The lecture, titled “Materials for a better future,” will take place at the opening of the XVII B-MRS Meeting on September 16 of this year, and will address issues such as needs, shortages and promises in the Materials area. Galembeck graduated in Chemistry in 1964 from the University of São Paulo (USP). After getting his degree, he remained at USP working as an instructor (1965-1980) while doing his Ph.D. in Chemistry (1965-1970), in which he developed research on dissociation of a metal-metal bond. After his Ph.D., he completed post-doctoral internships in the United States, at the universities of Colorado, in the city of Denver (1972-1973) and California, in the city of Davis (1974), working in the field of Physical-Chemistry of biological systems. In 1976, back at USP, he had the opportunity to create a laboratory of colloids and surfaces at the Institute of Chemistry, in an agreement that involved the Institute, Unilever, the Brazilian Academy of Sciences and the Royal Society. From that moment on, Galembeck became more and more involved with the development of new materials, especially polymeric materials, and their manufacturing processes. In 1980, he joined the State University of Campinas (Unicamp), after which he became a full professor in 1988, where he remained until his retirement in 2011. Since then, he has been a contributing professor at the institution. At Unicamp, he held management positions, notably vice-rector of the university, as well as director of the Institute of Chemistry and coordinator of its post-graduate program. In July 2011, he took over the newly created Brazilian National Nanotechnology Laboratory (LNNano), at the National Center for Energy and Materials Research (CNPEM), remaining in this post until 2015. Throughout his career, he has held direction or coordination positions at the Brazilian Academy of Sciences (ABC), the Ministry of Science, Technology and Innovation (MCT), the National Council for Scientific and Technological Development (CNPq), Sao Paulo Research Foundation (FAPESP), Brazilian Chemical Society, (SBQ), Brazilian Society for the Advancement of Science (SBPC) and the Brazilian Society of Microscopy and Microanalysis (SBMM), among other entities. Prof. Galembeck is the author of roughly 279 scientific papers published in peer-reviewed journals, with over 3,700 citations, 35 patents and more than 20 books and book chapters. He has supervised nearly 80 master’s and doctoral degrees. Fernando Galembeck received numerous awards and distinctions, among them the Anísio Teixeira Award, from CAPES, in 2011; the Telesio-Galilei Gold Metal 2011, from the Telesio-Galilei Academy of Science (TGAS), the Almirante Álvaro Alberto Award for Science and Technology 2006, from CNPq and the Conrado Wessel Foundation; the José Pelúcio Ferreira Trophy, from Finep, in 2006; the Grand Cross of the National Order of Scientific Merit, in 2000, and the National Commendation of Scientific Merit, in 1995, both from the Presidency of the Republic of Brazil. He also received a series of acknowledgments from companies and associations, such as CPFL, Petrobrás, Union Carbide do Brasil, the Brazilian Association of Paint Manufacturers, the Brazilian Chemical Industry Association, the Union of Chemical Industry for Industrial Purposes of the State of Rio de Janeiro, Brazilian Polymer Association, Brazilian Chemical Society (which created the Fernando Galembeck Technological Innovation Award), the Union of Engineers in the State of São Paulo and the Electrostatic Society of America. This scientist has been a fellow of TWAS (The World Academy of Sciences) since 2010 and from the Royal Society of Chemistry since 2014. In this interview, you will be able to know a little more about this Brazilian researcher and his work. SBPMat Newsletter: – Tell us what led you to become a scientist and work on issues in the field of Materials. Fernando Galembeck: – My interest in research work started during my adolescence, when I comprehended the importance of new knowledge, of discovery. I found this when I was working, after school, at my father’s pharmaceutical laboratory, as I could see how the newest, latest products, were important. I also saw how costly it was, for the lab, to depend on imported raw materials, which were not produced in Brazil, and that in the country there was no competence to manufacture them. Then I realized the value of new knowledge, as well as the importance and the economic and strategic significance of such breakthroughs. This feeling was increased when I took my major in Chemistry. I enrolled into the Chemistry course because one of my school teachers had suggested that I should seek a career related to research. He must have seen some inclination, some tendency of mine. So I attended the Chemistry course provided by the Philosophy School, in an environment where the research activity was very vivid. Because of that, I decided to conduct my Doctoral studies at USP. At that time, there were no regular graduate studies in Brazil yet. The advisor with whom I defended my dissertation, Professor Pawel Krumholz, was a great researcher, who also had built a very important career working on a company. He was the industrial director of Orquima, a major company by that time. That boosted my interest in research. I worked with Chemistry for some years and my interest in materials came from a curious occurring. I was almost graduating, in my last vacations during the undergraduate studies. I was at an apartment, resting after lunch. I remember looking at the walls of this apartment and noticing that, with all I had learned in the Chemistry course, I did not have much to say about the things I could see: the paint, the coverings etc. That was Chemistry, but also Materials, and there was not much interest in Materials in the Chemistry course. Actually, Materials became very important in Chemistry mainly because of plastic and rubber, which, at the time, did not have the importance they have today. I’m talking about 1964, when petrochemicals were practically non-existent, in Brazil. Well, then I started to work with Physical Chemistry, to later work a little in a field that is more oriented to Biochemistry, that is Biological Physical Chemistry and, in 1976, I received a task from the USP Department, which was to build a colloids and surfaces laboratory. One of our first projects was to modify plastic surfaces, in that case, Teflon. Then I realized that a major part of the colloids and surfaces Chemistry existed due to Materials, because the subject lends itself to create and develop new materials. From that moment on, I was getting increasingly involved with Materials, mainly polymers, a little less with ceramics, and even less with metals. SBPMat Newsletter: – What are, in your own opinion, your main contributions to the field of Materials? Consider, in your answer, all aspects of your professional activity, including cases of knowledge transfer to the industry. Fernando Galembeck: – I will tell the story in order, more or less. I think that the first important result in the field of Materials was exactly a technique intended to modify the surface of Teflon, that material in which it is very difficult to stick something. There is even that expression, “Teflon politicians”, the ones for which does not matter what you throw at them, they do not stick to anything. But, in certain situations, we want the Teflon to have adhesion. So, by a somewhat complicated path, I managed to see that I already knew how to modify Teflon, but I had never realized that is was important. I knew the phenomenon; I had observed it during my PhD defense. I knew that there was a change happening in Teflon. But it was during a visit to a Unilever laboratory in 1976, when I was talking to a researcher, that I saw that there were people striving to modify the surface of Teflon and achieve adhesion. Then, bringing the problem and the solution together, as soon as I returned to Brazil, I tried to see if I what I had previously observed was really useful, and it worked. That led to the first paper I wrote by myself and my first patent application, at a time when almost nobody talked about patents in Brazil, especially in the university environment. I was very enthusiastic about this: I was approached by companies that were interested in applying what I had done; one the modification in Teflon itself, the other in a different polymer. So I felt great, because I had made a discovery, I had a patent, and there were companies which, at least, would like to know what it was to see if there was a way to use it. One more thing: soon after the paper I wrote was published, I was invited to attend a conference in the United States, which addressed exactly the issue of modifying surfaces. Polymers, plastic and rubber surfaces, a subject with which I was involved for pretty much the rest of my life, up until now. I will mention a second fact that did not have the same effects, so far. I discovered a method that enables the characterization and separation of very small particles. That was a very interesting paper. It was released, also produced a patent, but had no practical consequences. Recently, there have been some issues related to nanoparticles, which is a very important subject in Materials now, offering a chance to apply what I did over 30 years ago. The name of the technique is osmosedimentation. Next there was some work that I did by collaborating in projects with Pirelli Cabos. With all this story of surfaces and polymers, I think I had become more or less known and was approached by Pirelli, which contracted me as a consultant and commissioned projects I had at Unicamp. An outcome of these projects, that I think is the most important, was the development of an insulator for very high voltages. This work was not only mine, but rather of a very large team, in which I took part. There were several people from Pirelli, and several from Unicamp. The result of this project was that the Brazilian Pirelli managed to be hired to provide high voltage cables for the Eurotunnel, back in the ‘80s. I think this was a very important case, as it led to a product and brought substantial economic results. I would like to stress that this was done in Brazil, by a Brazilian team. They were not a Brazilian company, but the team was based here. Then I worked on several studies with nanoparticles, at a time when we did not even call them nanoparticles; we called them fine particles or simply small colloidal particles. The first work I published on nanoparticles was in 1978. There were other things I did next, which ultimately turned into a work on aluminum phosphate, which gave rise to several theses carried out in the laboratory and publications, and was also licensed by a company of the Bunge group, which basically exploits phosphates. The subject started in my laboratory, stayed in the laboratory for several years, then a company from the Bunge group here in Brazil became interested, started to participate, we collaborated. This became a rather large development project. Bunge later found the project unfeasible in Brazil and today it is the United States. I think it’s a pity that it is there, but there were other issues involved, including disagreements with Unicamp, which owns the patents. Recently, the company of the group that worked with these phosphates was Amorphic Solutions, which offered the product on the Internet, for various applications. From what I understand, they are currently emphasizing its use as an anticorrosive material for steel protection. I have recent information that Bunge has negotiated the rights to these products with a large chemical company, but I do not know the details. About the same time, in another project on nanoparticles, clay/natural rubber nanocomposites were developed. This was licensed by a Brazilian company called Orbys, which released a product called Imbrik, that showed to be good for rubber rolls for paper manufacturing. Another case with a product. I had done a project with Oxiteno, which manufactures raw materials for latex, the surfactants. They wanted to get an ideia of how much you can change the latex changing the surfactant. I conducted a project with them that I consider one of the most interesting among those in which I have been involved. In the end, we realized that, by changing the surfactant a bit, we changed the latex a lot. These are used in paints, adhesives, resins. So we realized we had a great versatility. This work was published and promoted. It did not result in a patent because it was a comprehension project. So, another company, Indústrias Químicas Taubaté (IQT) approached me to produce cationic latex, but using a new path. Cationic latex in general is made of quaternary ammonium salts, which have some environmental restrictions. The company wanted an alternative that did not have those restrictions. By the end of the project, we produced cationic latex without environmental restrictions, and the IQT put the product on the market. My participation in a Navy project of developing carbon fibers was a great challenge that gave me big satisfaction. My group participated by synthesizing copolymers of acrylonitrile, up to the scale of ten liters. The results were transferred to a company that produced pilot scale production at the old Rhodia-Ster and Radicci plant in São José dos Campos. The selected copolymer was spun and then pyrolyzed, at the Technological Center of Marinha, in São Paulo. It resulted in a high performance carbon fiber, which was used in the manufacture of a centrifuge, used in Aramar. The challenge was to find the copolymer that showed good performance in the later stages of fiber production, which was achieved. There was another case that was also very interesting, even though it was canceled. Here in Brazil, there was a large manufacturer of polyethylene terephthalate, PET, which is used for many things, including bottles. They knew about the work I had done with nanocomposites, the one with Orbys I mentioned before, so they approached me wanting to produce PET nanocomposites. We had to find out how to escape from what was already patented abroad and discovered a whole new path. The company was called Rhodia-Ster, and today it is part of another Italian company, called Mossi e Ghisolfi. The company was enthusiastic and ended up patenting it in Brazil, and then later abroad. At a certain point, they decided that they would conduct the work internally, and so they did for some years. One day, my contact within the company called me to tell this: “look, we were working with two technologies; the one held by Unicamp and another one, in another country. Both are working, but the company has reached a point where it has chosen to complete the development of only one”. When coming to the final stage in developing materials, the projects costs are too high. One have to use large amounts of materials, run many tests with customers. So, the company decided to take one project further, and, unfortunately, it was not the one in which I had worked. At the end, it was a little frustrating, but I think that it was interesting, because, during this whole time, the company invested a lot in the path we had started here. Not only that, each project brings resources for the laboratory, jobs at the university and the company etc. So, these projects result in many benefits, even when they are not concluded. Now, fast forwarding, I will arrive at a more recent result of my work at CNPEM, where I was until 2015. A goal of CNPEM is the use of renewable source materials to make advanced materials. It has a whole philosophy behind it, related to the depletion of natural resources, to sustainability… The goal was to do new things with materials derived from biomass, and the main interest is in cellulose. It is the most abundant polymer in the world, but it is a very difficult polymer to work with. You cannot process pulp as you process polyethylene, for example. One of the goals is to plasticize cellulose; that is, to work the cellulose as closely as possible to the one we use to work with synthetic polymers. An initial result within this idea was the creation of cellulose adhesives in which the only polymer is cellulose itself. Then, by then no longer at CNPEM, we obtained graphite exfoliation, which generated a family of paints, pastes and conductive adhesives, which are the object of a PIPE project recently approved by Fapesp. This is the latest case. In the middle of the way, many other projects were conducted with companies, for issues of their interest. Coating something, gluing another, modifying a polymer to achieve a certain result. But these were answers to demands from companies, instead of researches started at the laboratory. SBPMat Newsletter: – Leave a message for our readers who are starting their careers as scientists. Fernando Galembeck: – First of all, in any chosen career, there must be a dose of passion. It does not matter if you are going to work in the Stock Market, Healthcare or whatever you may do; above all, your taste must decide. If a person chooses a career because it will give them money or status… I think it is a bad choice. If you do things with pleasure, with interest, the money, prestige and status will come from other paths. The goal is to do what makes you happy, what makes you feel good when you do it, what makes you feel accomplished. It is true not only for the scientific career, but also to any other career. In science, it is crucial. Another point is that you must be prepared to work hard. There is no easy way. I know some young people who are constantly seeking the great idea that will bring them success with relatively little work. Well, I’d better not count on it. It may even happen, but waiting for it is almost the same as wait to win the Lottery and get rich. I’m over 75, therefore I have met many people and seen many things happen. Something that strikes me is how young people who seemed very promising end up not working very well. Frankly, I think it is bad for youngsters to achieve success too early, because I have the impression they get used to this idea that things will always work out fine. And the problem is that there isn’t anything, anyone, any company that will always work. There will always be the moment of failure, the moment of frustration. If the person is prepared for that, when the times come, he or she will overcome it, while others are crushed – they cannot move one. That is why we must be careful not to be deceived by our success and think that, because it worked once, it will always work. You must be prepared to fight. When I was in college, thinking about doing research seemed a very strange thing to do, crazy talk. People did not know very well what it was, or why would someone choose to do it. Some people said that research was something like priesthood. I have always worked with research, associated with teaching, consulting and, without having ever sought to become rich, I managed to have an economic status that I deem very comfortable. But I insist, my goal was to enable the development, to produce material, not the money I would receive. Money came, as it does. So, I suggest you to focus on your work, on the results and the contribution that said work may give to other people, to the environment, to the community, to the country, to knowledge. The rest comes as a bonus. In short, my message is: work seriously, earnestly and passionately. Finally, I would like to point out that I think the research work, the development work, really helps you to grow as a person. It will depart you from ideas that are not very fruitful and guide you towards attitudes that are really important and helpful. A student asked Galileo once: “Master, what is the method?”, and Galileo’s answer was: “The method is the doubt”. I think it is very important in the research activity, which, for Materials in particular, is especially interesting because the final product is something you can hold in your hands. In the research activity you have to always wonder, “I’m thinking like this, but is this right?”, or “This guy wrote this, but what are his bases to write it?”. This attitude is very different from the dogmatic one, which is common in the realms of politics and religion, and very different from the attitude of someone who has to deceive, as the lawyer who works for a corrupt or drug dealer. The researchers have to commit themselves to the truth. Of course there are also people who call themselves researchers and spread disinformation. Some years ago, people were talking about something called “Bush science”, an expression referring to President Bush. This Bush science was the arguments fabricated by people who gained money as scientists, but who produced arguments to sustain Bush’s policies. In other words, the problem exists in science as well, but then we get back to what I said earlier. You cannot become a scientist because of money, or to achieve prestige, or to be invited to have dinner with the president; you must enter this field because of your interest in the subject itself. Aerospace Materials and Manufacturing for the Next Century (new activity in the XVII B-MRS Meeting). The Annals of the Brazilian Academy of Sciences (AABC) in partnership with the Brazilian Materials Research Society (B-MRS) will launch the special volume “Materials Sciences for a Better Future”. According to the editor, Frank Crespilho, professor at the São Carlos Institute of Chemistry (IQSC) at the University of São Paulo (USP) and a B-MRS member, this is a great opportunity to celebrate the success of Brazilian research in the area of Materials. Crespilho adds that the theme of the special event is in tune with the title of the memorial lecture that professor Fernando Galembeck will deliver at the XVII B-MRS Meeting, an event to be held at Praiamar Natal Hotel in Natal (Brazil), from September 16 to 20 of 2018. Furthermore, this special volume is part of the continuation of the centenary celebrations of the Academy. SBPMat members and other researchers are invited to submit their full original works through the SciELO journal’s website, from August 9 to November 9, 2018, indicating in the submission and Cover Letter their participation in the special volume. AABC publications have no cost to authors and can be accessed freely. The AABC have been engaged in the publication of special volumes, covering all areas of science. Recently, the journal has published articles for the special “Brazil: Frontiers of Chemical Sciences,” which can be freely accessed at: http://www.scielo.br/scielo.php?script=sci_issuetoc&pid=0001-376520180002&lng=en&nrm=iso. Director and former president of B-MRS are chosen as coordinators of the areas of Materials and Astronomy/Physics at CAPES. Prof. Antonio Eduardo Martinelli (left) and Fernando Lázaro Freire Jr (right). 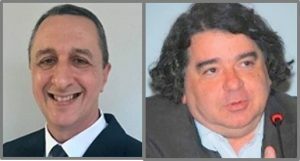 Two participating B-MRS members are listed among the new area coordinators (mandate 2018-2022) of CAPES, the Brazilian federal agency for the improvement of higher education, mainly graduate programs. Professor Antonio Eduardo Martinelli (Department of Materials Engineering of the Federal University of Rio Grande do Norte, UFRN) was reappointed as coordinator of the Materials Area of CAPES. 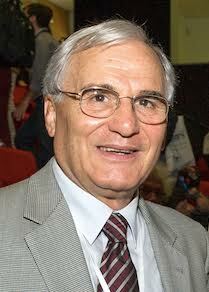 Currently, Martinelli is a B-MRS Scientific Director and chairman of the XVII B-MRS Meeting. He was also director of the society in 2008-2009 and 2016-2017. Professor Fernando Lázaro Freire Jr (Department of Physics of the Pontifical Catholic University of Rio de Janeiro, PUC-Rio) was chosen coordinator of the Area of Astronomy/Physics of CAPES. Member of the founding board of B-MRS, Freire Jr, served two terms as president of the society (2006-2007 and 2008-2009) and two as director (2004-2005 and 2012-2013). He coordinated the Physics and Astronomy Area of the Rio de Janeiro State Research Foundation (FAPERJ) from 2008 to 2012. He was director of the Brazilian Center for Research in Physics (CBPF) from 2011 to 2015 and director of the Department of Physics of PUC-Rio from 2003 to 2008. According to CAPES, the area coordinators are consultants designated to coordinate, plan and execute the activities of their areas, including those related to the evaluation of graduate programs. The process of choosing the coordinators involves all the Brazilian graduate programs of the area in question, as well as the boards and authorities of CAPES. (Português) Centro Nacional de Pesquisa em Energia e Materiais (CNPEM) busca novo Diretor-Geral. (Português) Processo seletivo no Programa de Pós-graduação em Ciência e Engenharia de Materiais (Mestrado Acadêmico) – UTFPR/Campus Londrina. (Português) Processo seletivo para ingresso no programa de pós-graduação em Física da Universidade Federal de Santa Catarina (PPGFSC/UFSC).